"The History of the Imitated Bell in Japanese Translation"
National Diet Library version published by Rakubundō, 楽文堂, in 1925 (Taishō 14). 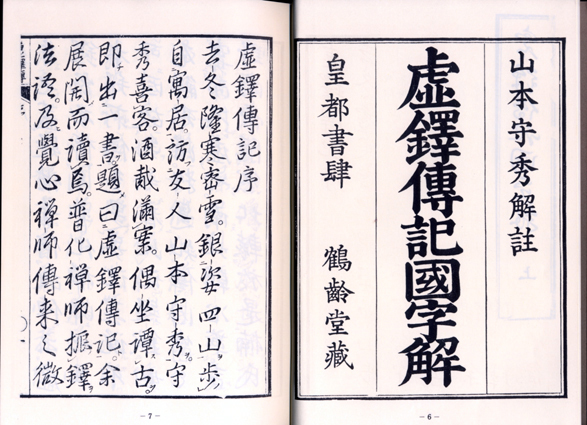 Most recent version edited by Kowata Suigetsu, 木幡吹月, 1901-1983, and published by Nihon Ongaku-sha, Tōkyō, 1981. OBS: Do note that nowhere in the entire Kyotaku denki kokujikai text you can find any mention of a "Fuke Sect", Fuke-shū, 普化宗, at all!